I think that is probably the most wonderful quote to sum up my thoughts on New Year. Why do we sit wishing for a better year. I’m going to take it day by day, taking each new experience as it comes. This year I’m not setting any resolutions, but instead I’m going to remember why 2014 was so wonderful, and how I, can enjoy 2015 even more. 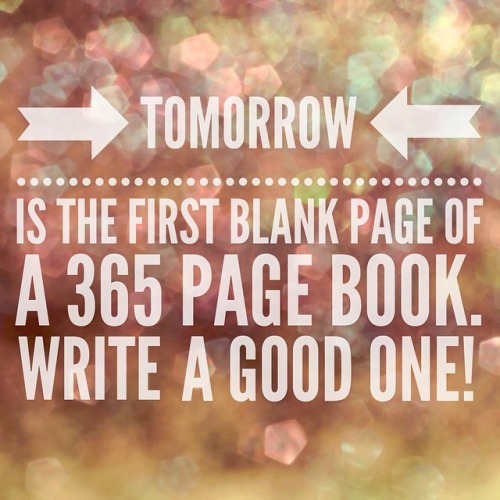 Have a wonderful and safe New Year’s Eve and I hope your New Year is an awesome one! I agree! Why constantly reflect on improvements when we can just focus on the good things that make us happy? I’m not a believer in New Years Resolutions anyway. They always fade out, every year.